A dead man who was found in Australia in 1948 has never been identified. An encrypted (?) 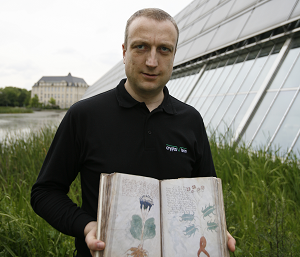 text could help solve the mystery. But nobody has been able to decipher it yet. It was summer at Somerton Beach in Adelaide, Australia, when an unknown man was seen there by several witnesses on November 30, 1948. Considering the warm season, the suit he wore would be considered unusual today, but this kind of clothing was not uncommon on a beach at that time. The next morning, the unknown man was found dead. 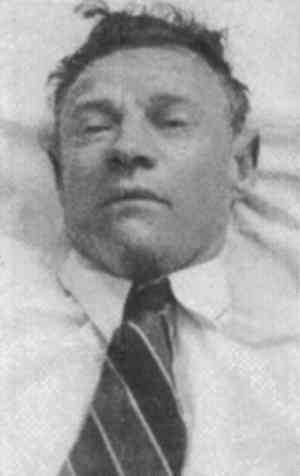 The “Somerton Man”, as he is called today, was about 40 to 45 years old at the time of his death. His high-quality clothing indicated that he was wealthy. The police were unable to identify the Somerton Man. He carried no identification documents with him. All labels had been removed from his clothes. Nobody seemed to miss him. In addition, the cause of death could not be clarified with the forensic methods available at that time. The circumstances of death spoke for poisoning. Possibly the Somerton Man had killed himself – but a murder or a natural death seemed possible, as well. A few weeks later, a suitcase of the deceased was found in the luggage depot at Adelaide train station. However, the contents hardly brought new insights. At least, the police now knew that the unknown man had spent some time at the station before his death. Probably, after arriving by night train, he had brought his suitcase to the luggage depot, before he took a bus to Somerton Beach. Did he want to recover on the beach after an exhausting train ride? We don’t know. 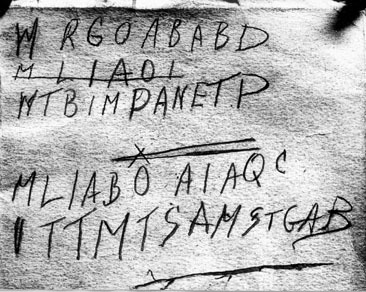 A few months after the death of the Somerton Man, the police found a carefully folded note with the inscription “Taman Shud” in his pants pocket. This sheet was taken from a copy of the then quite popular book The Rubaiyat of Omar Khayyam by Edward Fitzgerald. In fact, the police investigated a man who had found the corresponding book copy near Somerton Beach. In this book, a telephone number was noted. This number belonged to a woman who lived near Somerton Beach. The police questioned this important witness, but apparently her statements didn’t reveal anything important. The woman’s identity was kept confidential. On the inside of the back cover of the book, the police found a number of letter sequences written in pencil with no obvious meaning. It looked like an encrypted message. Did the Somerton Man want this message to be found? Is it a suicide note? Does it contain information about the murderer? Or is it just an unimportant note? 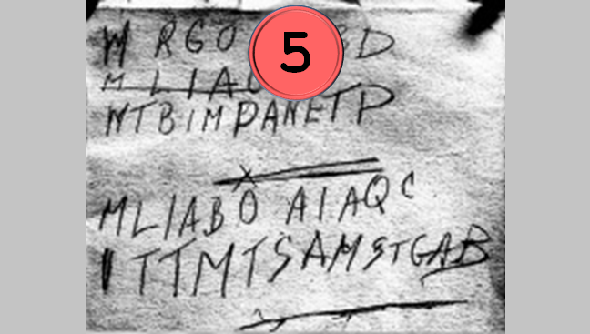 Numerous experts and hobby codebreakers have examined the Taman Shud cryptogram. However, to date, no one has been able to present a credible solution. The two Australian students Andrew Turnbull and Denley Bihari published an interesting examination in 2009. Through an analysis of letter frequencies, they came to the conclusion that the Taman Shud cryptogram probably consisted of the starting letters of English words. Perhaps, the author noted the first letter of each word of a sentence. Unfortunately, the two students did not come any further. Who was the Somerton Man? London-based crypto expert Nick Pelling suspects that he was a former sailor, who came to Adelaide to visit the woman, whose telephone number is noted in the book. She was his ex-lover. While the stranger was staying in her apartment, he died unexpectedly of a natural death – for example from an allergic reaction. The woman, whose husband did not know about the visit, took the body to the beach, where it was found later. Nick doesn’t think that the Somerton man was wealthy. In his opinion, his suit came from a charity organisation (the labels might have been removed by the original owner). According to Nick, the Taman Shud cryptogram consists of the starting letters of a self-written love poem. The Somerton Man wrote them down as a memory aid. It looks like a couple of the ‘M’ letters could actually be a ‘W’. Hi Klaus, unfortunately your information is several years out of date, a lot of research has happened since I first started to post on the Skeleton Man. I now think he was far more likely to be connected to the nurse’s soon-to-be husband (a car salesman) and the car the Rubaiyat was found in than to the nurse herself, even if she did know who he was. Nick: “Skeleton Man”: How scary!